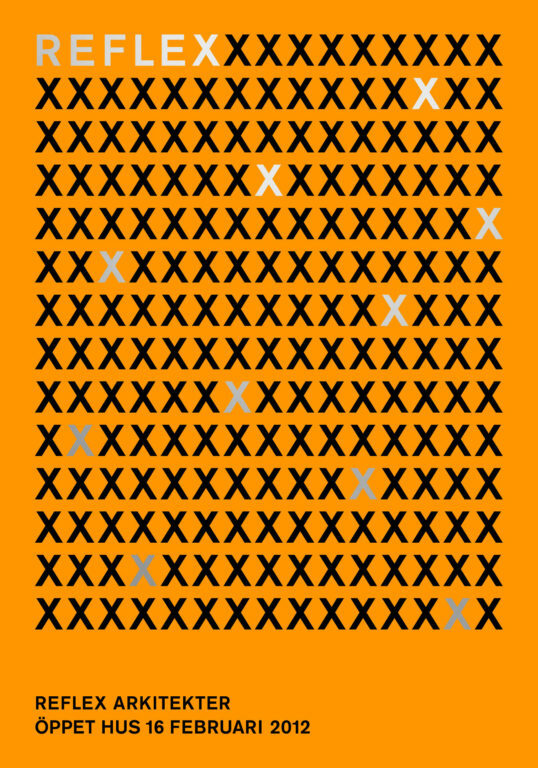 This bold orange poster for Reflex Architects is covered by the letter X laid in a cross-stitch pattern. The use of silver, as the color of a reflex, breaks up the order as in flashes. 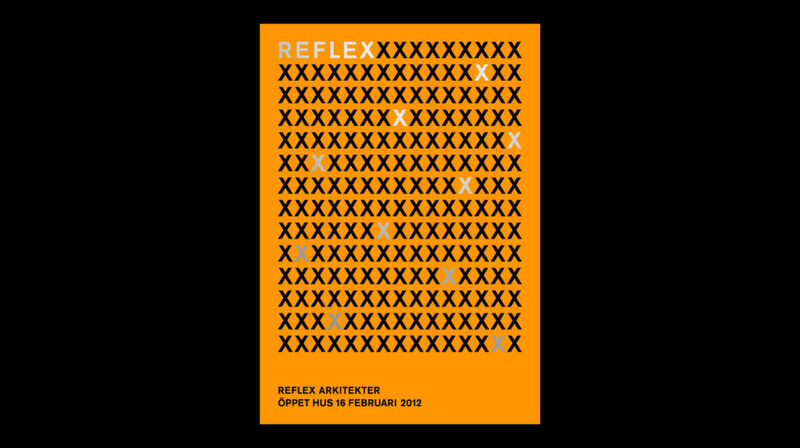 The poster, which invites to an open house at Reflex Architects, plays with the logotype Gabor Palotai Design created for them, and matches to the graphic design made for Reflex Architects during the years.